After meandering early in trading, US stocks managed to close higher ahead of the closely watched consumer and producer price inflation data due out later today. The S&P 500 Index reversed losses from earlier in the day to close in positive territory after a number of earnings beats and as financial stocks rallied. The yen headed for the strongest close since November 2016 while the Swiss franc was stronger as was gold. US Treasuries were steady ahead of the CPI data. The Dow Jones, Nasdaq and S&P500 closed up 0.16%, 0.26% and 0.45% respectively. We can see on the chart below that the S&P500 is consolidating after last week’s climactic selloff and volatility spike. The markets should begin settling down and go back to focusing on the fundamentals. On that note, Morgan Stanley and JP Morgan have joined Goldman Sachs in calling to ‘buy the dip’ with valuations now more attractive. Morgan Stanley have been a lot more cautious up until this week, so the turnaround marks a significant change. I think there is a very high probability that interest rates at the long and short end of the curve are going to rise this year. 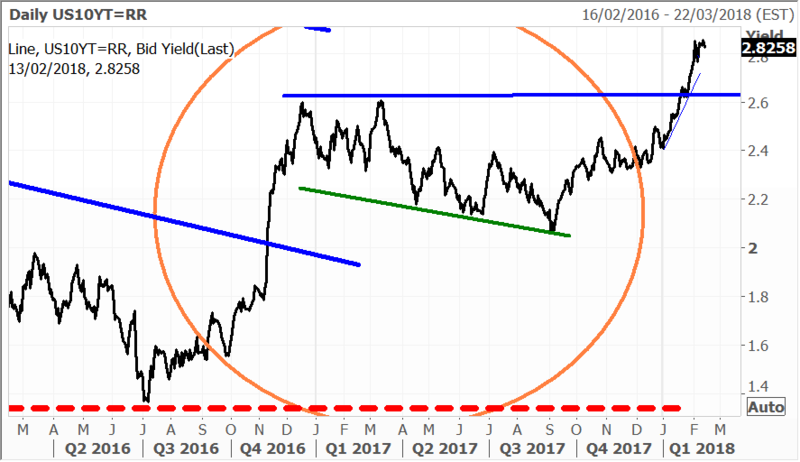 By how much is anyone’s guess, but our scenario is for a rise in the 10 T Bond yield to well north of 3% so now is the time to prepare. In the Global Contrarian Fund we have shorted a number of 10 year bonds in different markets, including the US, and we will add to this position by “selling the dip” in bond yields into any future rallies. We are also long financials and insurance stocks that will benefit from a lift and a steepening in the yield curve. Baidu was up 1.8% ahead of the Chinese online search giant reporting after the closing bell. Baidu has ADRs trading on the Nasdaq and is held in the Global Contrarian Fund, the Global Opportunities and Asian Managed Account portfolios. We are overweight in the video game sector in our Managed Account portfolios through the likes of Japan-listed Sony. A growing gaming audience, shift to digital and fast-growing eSports market is providing an attractive backdrop for those companies with strong gaming IP (intellectual property). BHP Billiton was up 1.8% as it said although it will take a likely one-time charge in the region of US$1.8 billion related to US tax changes, the reforms will have a positive impact on US profit going forward. 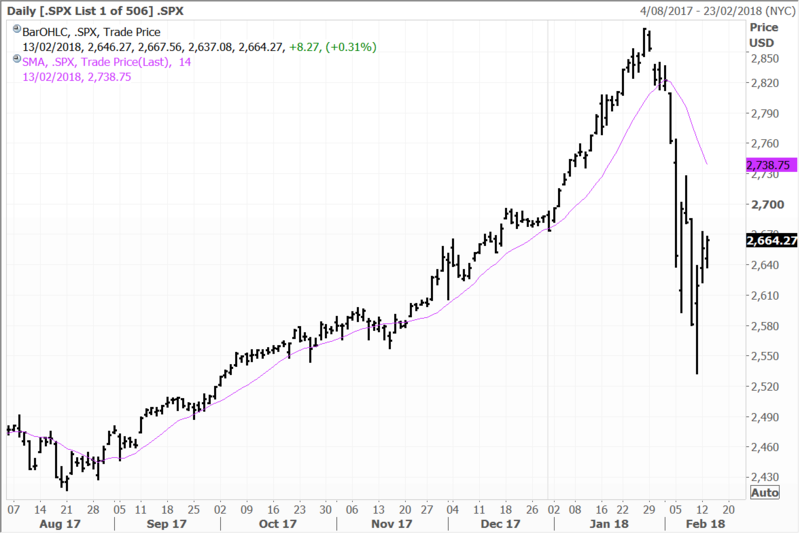 Asian stocks closed mixed on Tuesday, despite a solid showing from the US the night before after the Trump administration took the wraps off a keenly anticipated infrastructure program and budget. Chinese shares got a helping hand as data from the central bank revealed the country’s banks lent a record amount in new yuan loans during the month of January. Lunar New Year celebrations for the Year of the Dog are beginning, which will affect China, Hong Kong, Taiwan, Singapore, Malaysia and Indonesia – some of these markets will be closed for the holidays. Chinese mainland markets are closed from February 15th through to the 21st. Japan is expected to extend the longest stretch of economic growth since the mid-1990s when it reports fourth-quarter gross domestic product on Wednesday. Japanese shares were up initially but faded in yesterday afternoon as the yen strengthened against the US dollar. The benchmark Nikkei closed 0.65% lower in its first trading day after a long weekend. Airlines and railroads (tourism sensitive) stocks underperformed, with ANA Holdings (an airline) losing altitude to the tune of 2.0% and East Japan Railways slipped 1.7%. Financials were generally weak, with the megabanks Mizuho, Sumitomo and Mitsubishi UFJ closing between 0.9% to 1.5% lower. Exporters were mixed with Sony and robotics leaders Fanuc and Yaskawa Electric slipping modestly in trade, while Panasonic and air conditioning giant Daikin Industries were up 0.5% each. Energy company Inpex Corp gained 1.0%. We hold Mizuho, Sumitomo and Mitsubishi, Fanuc and Sony in the Global Contrarian Fund. Daikin is held in the Asian Managed Account portfolios. The Macau casino operators Sands China, MGM China and Wynn Macau all had a solid day, with gains ranging from 0.7% to 2.5%.. Sands China, MGM China and Wynn are held in the Global Contrarian Fund. MGM China opened its $3.4 billion casino resort in Macau on Tuesday, just days ahead of the Lunar New Year holiday – which one broker is tipping to be one the busiest yet with 100% occupancy in all the hotels. MGM Cotai, which will more than triple the number of MGM’s hotel room capacity in Macau to 1,972, marks a major expansion in non-gaming attractions. The new resort, MGM’s second and the biggest investment in Macau, boasts a 2,000-seat theatre and artwork including 28 carpets from the Qing dynasty as well as a four-storey atrium garden space that features digital art. It also increases MGM’s overall gaming table count in the hub by 29 percent to 552. The opening comes at a time of surging casino revenues. Macau’s January numbers significantly exceeded past expectations with a 36% year-on-year jump, the 18th gain in a row, on demand from VIP and mass market customers. The Chinese new year holiday which starts on Friday is expected to be very strong, Grant Bowie, chief executive of MGM China, the company’s Macau unit told a news conference.“Based on the numbers we are seeing, the reservations we have got, it was very important for us to open before.” MGM China is a top 5 holding in the Global Contrarian Fund and the Global and Asian Managed account portfolios. In Australia the market had a positive session on Tuesday, with the ASX200 rising 0.6% to 5855. Gains were broad-based with resource stocks robust, and the gold sector the standout with a 2.5% gain. I continue to believe that the global inflationary outcome we have predicted will ensue, and deliver a further upward re-rating of the precious metals sector, and resources generally. Saracen Minerals was in demand, rising 4%. The stock, which we hold in the Concentrated Australian managed account portfolio, has been recommended by our analyst team as a high conviction buy. As with Evolution, the company has strong leverage to rising gold prices. Recent fourth quarter reports showed a further kick from Saracen’s two operating mines in Carosue Dam and Thunderbox. The quarter was record for gold production at 77,522 ounces while all-in sustaining costs continue to improve. 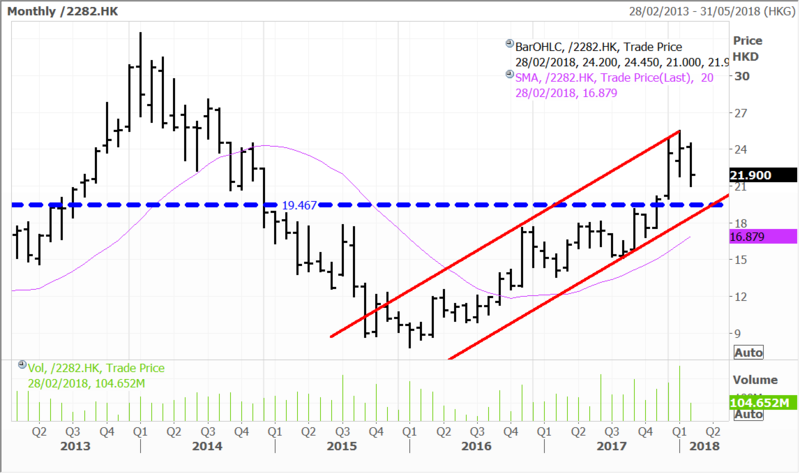 Guidance for 2018 has remained unchanged at 300,000 ounces of gold and all in sustaining costs of A$1,150 an ounce. Disclosure: The Fat Prophets Global Contrarian Fund declares a holding in: Baidu, Sony, BHP Billiton, Mizuho, Sumitomo, Mitsubishi UFJ, Fanuc, Inpex Corp, Sands China, MGM China, Wynn Macau, Evolution and 10-year Bonds.